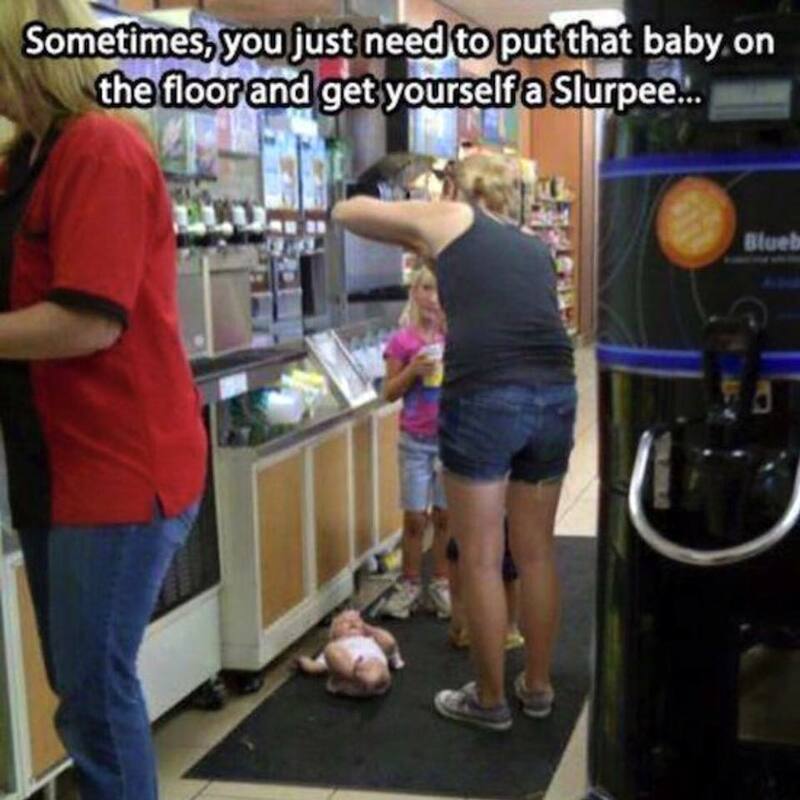 Because sometimes…you just need to put that gottdamned baby on the gottdamned floor and get yourself a Slurpee. I get it. Oh, trust me: I GET IT.